New parents at this time are faced with raising very different children than ever before. What has worked for previous generations will no longer be sufficient or advisable for this “new breed” of humans; you might say these children are the first of the hybrid humans. For many generations the milestones which have become markers of a child’s development have remained the same; however within the last 5-7 years there have been large changes to the children’s development that cannot always be measured on a statistical graph. Babies are born much more alert than ever before; from the instant these “old souls” enter this reality they are ready to make their mark, they are eager to take everything in. 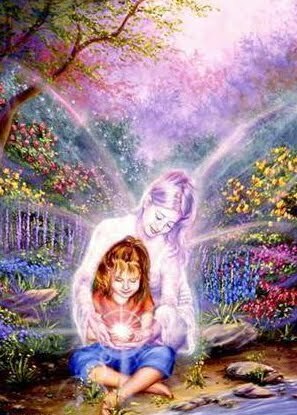 Children have always held very high vibrations, they do not have any limiting beliefs in place which would serve to lower their vibration. They are fascinated by the simple joys in life, and are capable of living in the now moment. A baby does not worry about tomorrow, nor do they dwell on past events; they simply are present in the now moment and experience each moment to the fullest. The children who are incarnating into this reality have very large roles to fill. They have agreed to come here to hold the template for the ascended human. Their capabilities reflect what is possible in the higher dimensions. Previously, you had all come into this world in order to experience duality, to gain valuable lessons from the vast life experiences which are available to you. You had large overall lessons which you wanted the opportunity to master with each lifetime; however these children are no longer coming in with any limiting beliefs to clear of their own, but rather they are here to help all of you to release what no longer serves you. These children will not come in with as much to regain or remember as past generations have. They are here to show you how to live in the higher dimensions. As you are evolving, as you are growing and elevating in consciousness, you are making great strides in regaining your true power. These young children are here to offer you a new perspective, a new way of living together. Children have always been known to offer very candid advice, however it was rarely taken seriously. It is said that the average human uses only about 10% of their brain. A common misconception about this notion is the assumption that this percentage refers to intelligence. However by using more of your brain as it was originally designed to be used will allow for a higher degree of connection between your higher self and your physical mind. This will allow for much more than simply an expansion of your knowledge base. When using your brain to its fullest potential, knowledge can be easily acquired anytime new information is needed; not because you will have a greater ability to comprehend but more so because you will be once again universally reconnected and all information is readily available for you to “download” at any moment. What has taken previous generations years of intense training and memorization can be easily downloaded into your mind whenever you desire. This is just one of the infinite skills you will once again have access to once you become fully conscious beings. Utilizing 100% of your brain will allow you to reach abilities which you have only dreamed of acquiring; an increase in overall intelligence is just one of the many uses of your brain. That would be similar to using one of the world’s most powerful computers as a calculator for basic numeric calculations. Well yes, it does have the ability to calculate numbers, however that is just one of the many things it is capable of. And so it is with your brains. And this is what these new children will begin to demonstrate. You have started to see the very beginning stages of the changes in how these children learn with the children who have been labeled as ADD or ADHD. The medical profession says that these children have a defect that does not allow them to focus, however we have a different perspective. These children do not have a defect but rather they simply are unable to properly express the unique gifts and abilities that lie within them in a system that is unwilling to evolve. It’s not that they cannot focus; they simply choose not to focus their attention on old and outdated methods of learning. We recommend that you find what these children are passionate about and ask them to expound upon this topic and many would be amazed at their uncanny ability to absorb a tremendous amount of information on the topic. Their minds are much more capable then they are given credit for; however they are not being stimulated or encouraged to use their minds in a suitable manner. Their minds work in a different way than what is considered to be “normal”. Many parents have been taught to fear any deviation their child displays from the normal progression of development of other children, however it is our wish to assure you that this is nothing to fear but rather we ask that you embrace the uniqueness of each child. The new standard will simply be, there is no “norm”. These new children require a more individualized education rather than one that is fashioned for all to fit into its mold. You will see more and more of these new children who will not resonate with the old systems and as their numbers grow, they will force the education systems to grow and evolve. More and more the medical field will search for a label to give to these children who do not fit the “norm”, however it will not be long before the education system takes notice that there is nothing “wrong” with these very bright students, they simply do not learn the way children used to. Not all children will share the same skill set, nor will they all experience the exact same development. Just as all of you have your own unique gifts and abilities, so too will they. In fact more and more you will notice that the “normal range” of development for a child will widen considerably, as each child will flourish in their own way at their own pace. However, we do want to touch on just some of the abilities that you will start to see develop within these children. Some children will possess strong psychic abilities, while some will possess tremendous healing abilities; others will use their incredible creativity to shape and mold the world around them in ways that will astound you. Some will amaze you with their natural talent to draw such vivid pictures at very young ages. Some will develop the ability to shift and move physical objects with their minds, while others will be able to simply “download” any knowledge, or talent which they want to possess. Some will possess a “super-natural” ability to manipulate numbers in their minds in just a matter of seconds, while others will be able to “see” the energy that exists all around you. What you call instinct within the animal kingdom is simply innate knowledge that is passed from the mother to their offspring. There will come a time when children will not have to be taught like they are now, but rather all of the knowledge which the mother possesses will be transferred to their child during pregnancy. We want you to imagine just how fast the human population will evolve when each new generation can simply expand upon the knowledge that was gained by the previous generation and no longer have to relearn the “basics”. Children of future generations will still require parenting, however much of the mundane information which requires so much time will be by passed. Parents will be able to focus their attention on other more important experiences; such as cultivating the child’s individual interests from a very early age. Much of this may sound impossible to you now, but know that there will come a day when this will all be common knowledge to the human population. These children hold the template for what lies innately in every human. You will notice that these children will all be unique in their own right; however their development will be similar in that they do not learn in the same way that other children before them have learned. These children, at a very young age will seek to introduce views which will embrace difference rather than fear it; perspectives that will consider what is best for the community rather than any one individual. As these children grow into mature adults they will inherit this world in which you live, and they will continue to make changes to ensure that with each new generation, humans continue to evolve back into the higher dimensions from which you all came. These children are just the beginning of the dawning of a brand new civilization.